Richard Stephen Bell | An actor, writer and teacher, Richard Stephen Bell's work encompasses film, TV, stage, digital media and the classroom, utilizing the art of story to create, perform and teach. Richard is the Founder and Executive Director of CINEMA ED , a non-profit, education based film and media company located in the greater New York metropolitan area. Cinema Ed not only produces films, but provides professional skill training in filmmaking for students, particularly those at-risk, and shows them how to harness the storytelling power of today’s technologies in all of their classes. Programs include a Young Filmmakers Track which provides high school students with a platform to screen their films in theaters before live audiences, and FilmBoot24, a weekend filmmaking bootcamp for high school students. Richard is also a screenwriter and an actor. His feature-length screenplay, “It’s All About the Beans” was chosen by the Austin Film Festival as a Second Rounder, by the Nicholl Fellowships for Screenwriting (sponsored by the Academy Awards) as a Quarter-Finalist, and as a Finalist by the Creative World Awards. It was also selected as a Semi-Finalist in the Family/Animated Category of the Final Draft Big Break competition. In addition, his one-hour pilot “Kiss Construction” was chosen as a Quarter-Finalist in the BlueCat Screenplay Competition. Richard’s original screenplay, “Winkle”, was a Semi-Finalist at the Austin Film Festival, a Top Ten Finalist at the Creative World Awards, and a Semi- Finalist in the StoryPros International Screenwriting Competition. Richard has also been a reader and judge for the Austin Film Festival and has done coverage for scripts submitted through AFF’s Coverage Program. 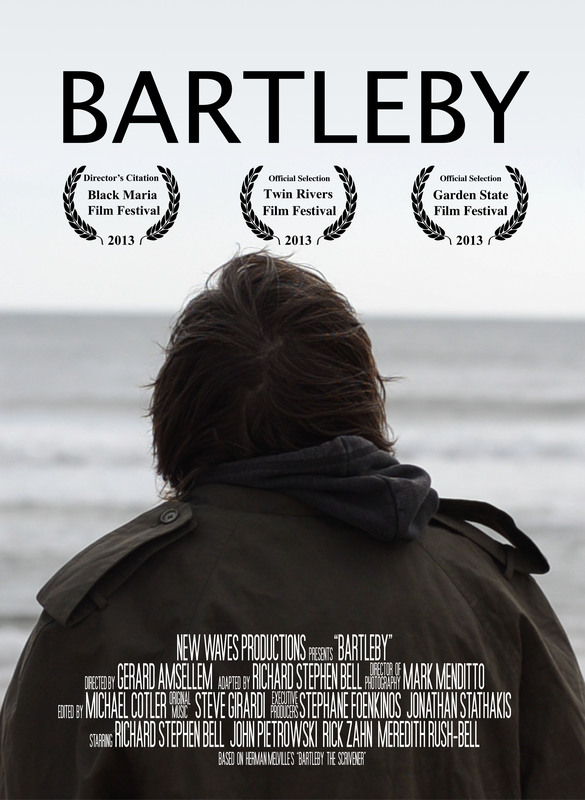 Richard adapted “Bartleby,” a screenplay based Herman Melville’s well-known story as part of a collaboration with abstract painter Gerard Amsellem. The short film, produced by New Waves Productions and Cinema Ed Films, was awarded a “Director’s Citation” by the Black Maria Film Festival. You can now watch the entire film. CINEMA ED and New Waves Productions are currently working on another film, WHEN IF NOT NOW. The film’s production will be part of a pilot program in a selected high school, where students will be given a choice of filmmaking modules taught by Cinema Ed instructors. In hands-on classes, high school students will help rewrite, shoot, edit and do-post production. For more information on WHEN IF NOT NOW and CINEMA ED, check out www.CinemaEd.org.